Our popular Hebrew shirts are well known by anyone who has ever visited Israel and include proud references to Jewish culture and traditions as well as expressing popular sentiments from the modern State of Israel in Hebrew! 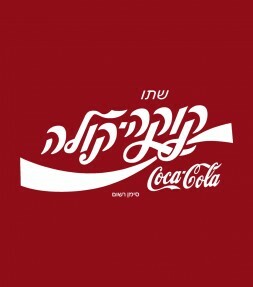 Dress like a celebrity with this iconic Israeli-T Hebrew shirt and display the Coca-Cola design written in classic scripted letters across it - and looking even more unique in Hebrew! This eye-catching Hebrew shirt features a hamsa, or hamsa hand which is believed to be a protective sign that can bring it’s owner happiness, good luck, health, success and is considered to ward off the negative forces of the evil eye. 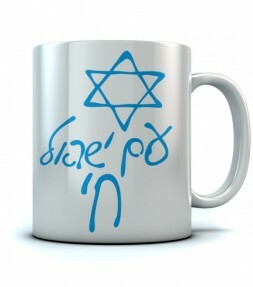 This A Bisele Meshugana - one of the funnier Jewish shirts thate have in stock! 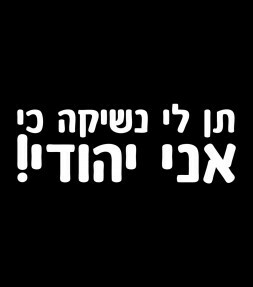 A BIsele Meshugana is a Yiddish phrase that means... "a little crazy". 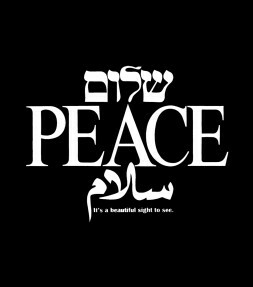 A beautiful print which symbolizes the dream of peace in Israel, this Israel shirt features the word "Peace" written in Hebrew, English and Arabic. "It's is a beautiful sight to see" is written in small letters at the bottom of the design. 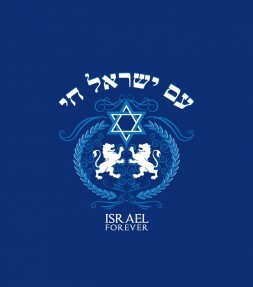 With the famous phrase “Am Yisrael Chai” scripted across the top in lovely Hebrew letters meaning “The nation of Israel lives“, this classic Israel shirt design also includes a memorable inscription on the bottom written in English letters - Israel Forever. 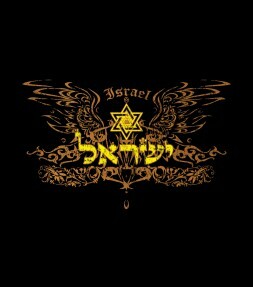 Celebrate this vibrant country and its enduring spirit with a beautiful Hebrew shirt featuring “Israel” written in both Hebrew and English letters and a vintage Star of David design in brown and yellow screen print. This Hebrew cap is a classic example of the landscape you might encounter when you stroll around urban Israel. 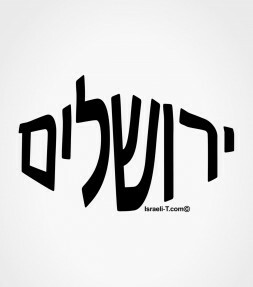 See this pride-inspiring graffiti drawn on the walls and know that "Am Israel Chai"! 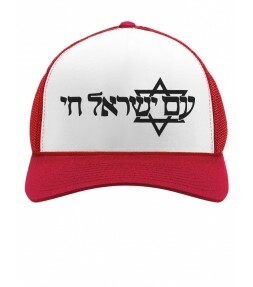 This Hebrew cap is printed with the powerful quote ""Am Israel Chai", translated as - "The Nation of Israel Lives" . 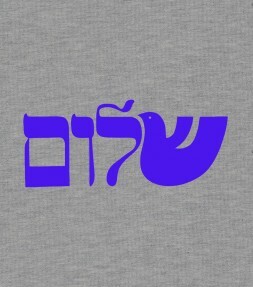 Shalom in Hebrew means "peace" and this Israel Hebrew shirt is designed with a lovely illustration representing a dove of peace as the first letter of the word "Shalom" - which is written in flowing Hebrew calligraphy. 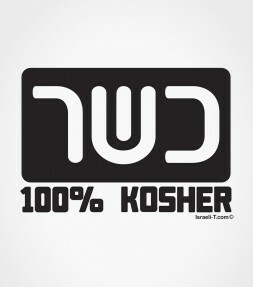 This funny Jewish Hebrew shirt logo humorously displays your rating of 100% Kosher for the whole world to see clearly! 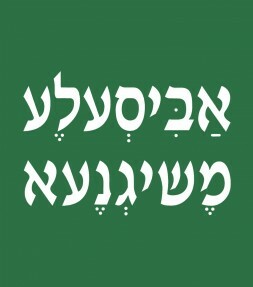 This Jewish shirt features the well-known Hebrew phrase "Chai", which represents long life and success in the Jewish tradition, printed in unique colors on the front. 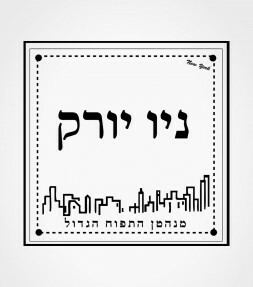 This Hebrew shirt features a Hebrew inscription of the city of "Brooklyn" the second Jewish capital (after Jerusalem) that has been designed as a classic vintage street sign! 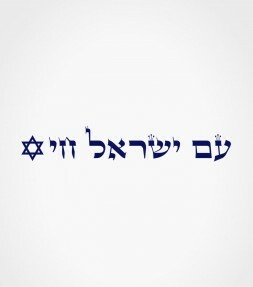 This Hebrew shirt features a true a Zionist design and is printed with the powerful Hebrew quote: "Am Israel Chai", translated as - "The Nation of Israel Lives"! 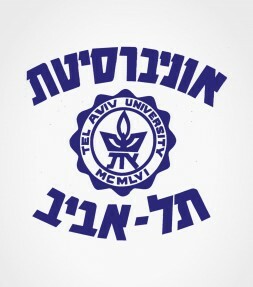 This high-quality Israel shirt printed in Hebrew is a great Israeli gift and one that commemorates a great institute of higher learning - the "University Of Tel-Aviv" in Israel! 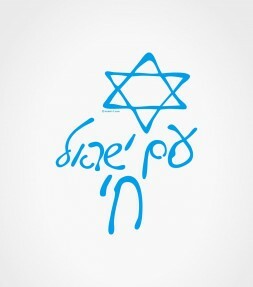 Wear this vintage Israel shirt sporting the inspiring Hebrew caption "Am Israel Chai" (the people of Israel live) with a Jewish Star of David symbol to show the world that the people of Israel are here for good! 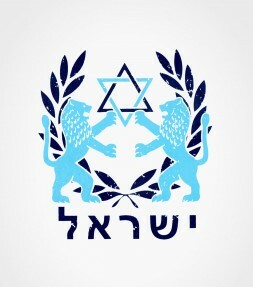 Not only does this Israel Hebrew shirt have the well-known “Lion of Judah” emblem from Genesis 49:9 that reflects bravery and strength, but it also has the “Star of David” which reflects our nation's Jewish identity and history. 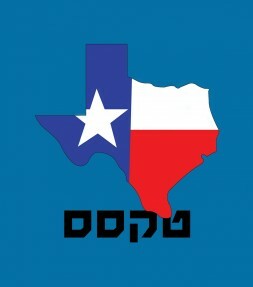 Show your own red, white and blue colors with this well known image of Texas, the ‘Lone Star State’, written out – quite unexpectedly in large Hebrew letters! 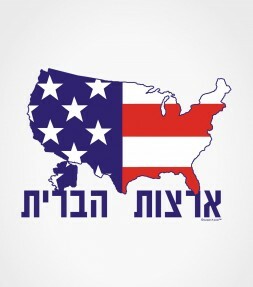 This God Bless America Hebrew shirt is a great shirt to wear if you are either an Israeli living in Israel and want to show your support for America or if you are living in America and want to show support for the USA in Hebrew. 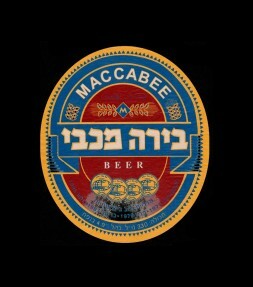 Featuring an eye-catching emblem with a large Hebrew inscription for Maccabee Beer, this Israel shirt will identify you as a real lover of beer and a true supporter of Israel as well! 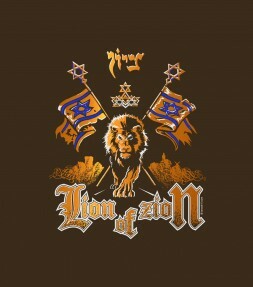 This Israel shirt features a unique hand-drawn illustration combining two of the strongest icons of Jerusalem: The Lion of Judah and the Hebrew word - Zion. 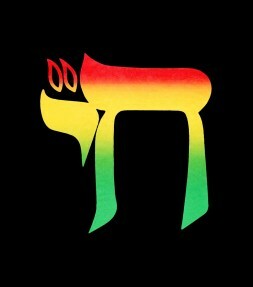 This Hebrew shirt is a classic example of what you might see if you strolled around Israel to see the pride-inspiring graffiti drawn on the walls of the Israeli cities. 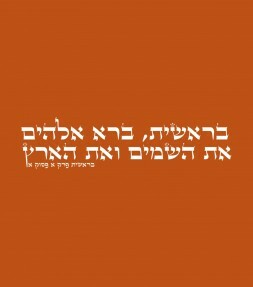 This Hebrew shirt expresses proudly that "the people of Israel live"! Throughout the ages there has always been someone trying to oppress and eradicate the Jews, but to no avail as we are still here! This attractive Israel Star of David shirt in both Hebrew and English is a great way to show support to Israel and the Jewish people. 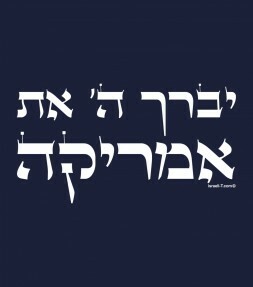 This Hebrew shirt commemorates a line from a Biblical verse, meaning "If I forget Thee, O Jerusalem, may my right hand forget its cunning". 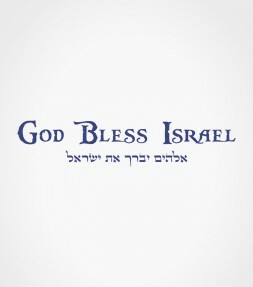 God bless Israel. Throughout our many trials and tribulations - God has always been there to deliver us. 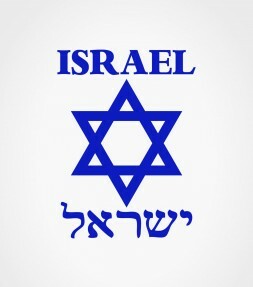 By God's guiding hand we have finally returned to the promise land - the holy land of Israel. This vintage Israel shirt is a special israeli-T design and features both a Menorah and Star of David symbols amidst olive branches and elegantly inscribed with the word Israel in both English and Hebrew. This New York City Hebrew shirt with a depiction of Manhattan in a black frame can be a fun, eye-catching shirt to wear anytime in Israel or New York! Love lions? 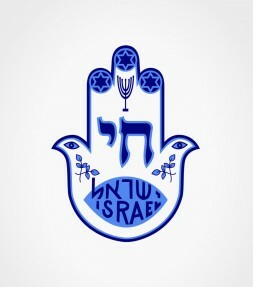 Love Israel? Then we've got the shirt for you. 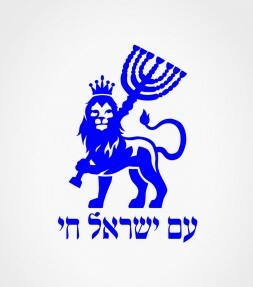 Through all our history lions have been an important symbol in the Jewish culture and are used many times in the Bible to symbolize the tribes of Judah. Here at Israeli-T, we're thankful for this beautiful earth. 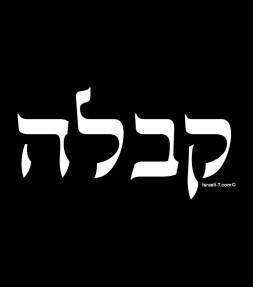 In fact, we are so thankful that we made an awesome "Creation" Hebrew shirt just to honor it that includes the first verse of the Bible/Torah in Hebrew inscription. 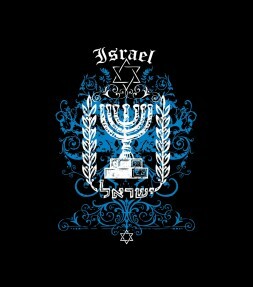 This Israel shirt is a marvelous vintage print of the state symbol - a depiction of the menorah from the Holy Temple with the inscription "ISRAEL" written below it in English and Hebrew. 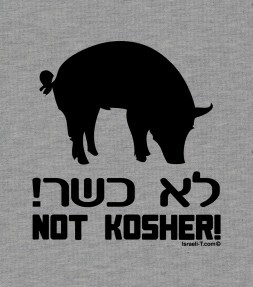 This funny Jewish shirt has inscriptions in both English and Hebrew and features a very cute little pig above an appropriately amusing message – Not Kosher! 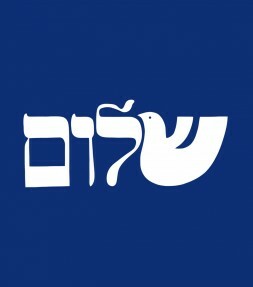 This strikingly artistic "Shalom" Hebrew shirt resembling the universal 'Dove of Peace' is a great way to show support for peace in Israel and also display your own personal expression of peace for the entire world as well. 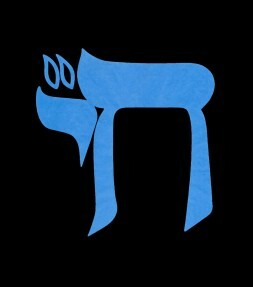 Here at Israeli-T, we believe that the world would be a better place if everyone followed the "Golden Rule". 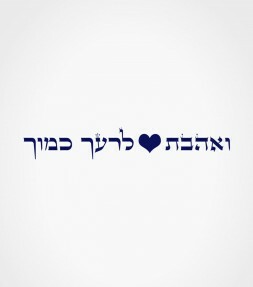 For that reason we've created this "loving" Hebrew shirt with a heart and the original quote from the Bible. 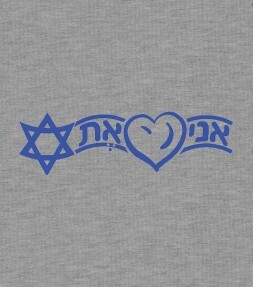 This Hebrew shirt will show your love and support for Israel - the little state that can. 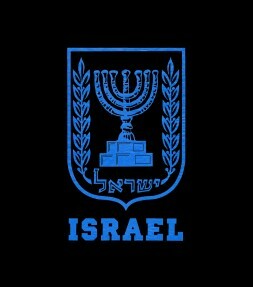 Israel needs your love now more than ever! With the word Kabbalah written out in attractive Hebrew lettering across the front, this eye-catching Hebrew shirt conveys a spiritual message while featuring a lovely aesthetic design concept as well. 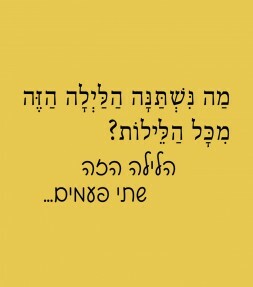 Taken from the Four Questions that every Jew ponders and sings about during the Passover Seder, this unique Hebrew shirt takes one of the lines from the famous song and displays it in Hebrew letters. 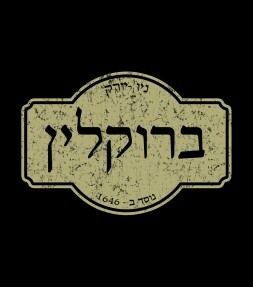 This Golden Mossad logo T-shirt is a limited edition design in honor of Israel's best special forces for the past 60+ years. 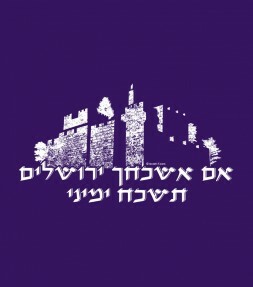 This unique Hebrew shirt celebrates Jerusalem, the holy city in Israel that has captured the hearts of countless people from nations all around the world! 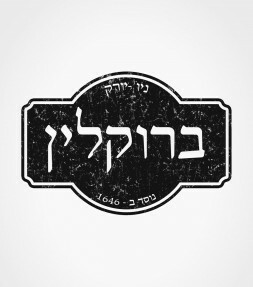 Rated as Kosher by the relevant Jewish authorities, this Jewish shirt will be appreciated by most anyone who knows what kosher is, as well as maybe by those who don’t know quite so well. 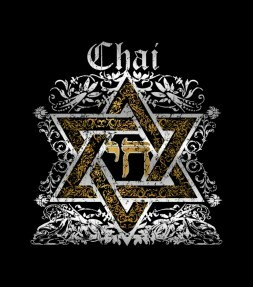 This Jewish Hebrew shirt features the word "Chai", which represents, life, good luck and holiness in the Jewish tradition. 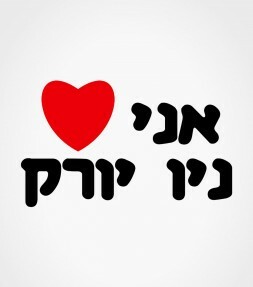 This classic Hebrew shirt features a well known saying in Hebrew - "I love New York". This colorful Israel shirt print symbolizes the dream of a peaceful life in Israel, with the word "Peace" boldly written in Hebrew, English and Arabic. God created the heavens and earth; most everything else was created in China... 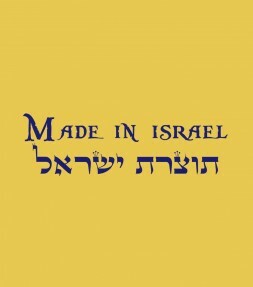 This 'Made in Israel' Hebrew shirt expresses the feeling that the land of Israel - and anything made there - is actually quite rare and special! 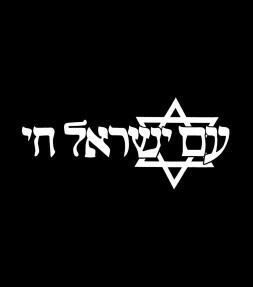 Just so you know, we have plenty of Hebrew shirts in English in stock as well as a large inventory of original iconic Hebrew Logo shirts that are all both meaningful and unique. 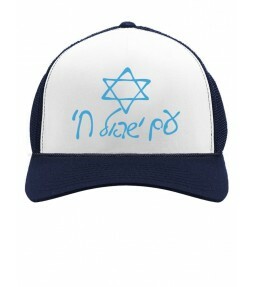 In addition to well known Jewish phrases or popular Hebrew quotes - our full selection of Hebrew shirts include motivational Israel slogans, popular Israeli products, Israel Army and IDF Special Operations, kosher stamps of approval, ancient Jewish symbols and lots and lots of funny Hebrew shirts that are designed for laughs and literally packed with humor! 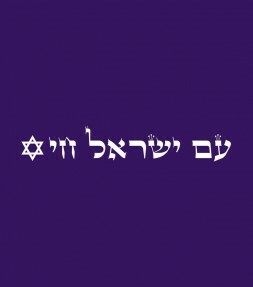 Our Hebrew shirts are ultra-comfortable to wear and are made from high-quality soft combed cotton and are also available in a myriad of fashionable styles including urban-styled Jewish hoodies, attractive Jewish jerseys, Jewish tank tops for the beach and eye-catching Jewish T-shirts that can be worn all year round. 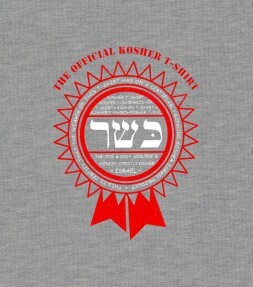 Featuring classic Hebrew shirts with expressions that are familiar to Jews worldwide and available in a wide range of fashionable urban-wear designs and colors.